Gloriously sweet with the richest, most intense purple color. Slice it, shred it, love it. We love to make a cool summer carrot salad of yellow, orange and purple varieties they're delicious and a treat for the eyes. Carrot aficionados (and who isn't) will delight in this unique and tasty variety with its purple skin and light yellow core. Carrot, Purple Dragon is rated 3.7 out of 5 by 18. Rated 4 out of 5 by Deb L from Nice carrot We had no trouble growing them at all. They grew fast and very long. We couldn't just pull them-they had to be dug out as they were so long. We probably kept them in the ground a week or two too long as some started to get woody and hairy. I agree that they are sweet but have a bit of an after taste when eaten raw. I canned them with the orange ones so now everything is purple. They are fun but not sure I will grow them again. Rated 1 out of 5 by Griffin KC from Poor Germination Rate Out of 1000 seeds, a total of 4 germinated. We planted 6 varieties of carrots all are growing like wild fire. Same soil composition. As for this variety...... it’s just a really sad bare spot in our garden with 4 lonely carrots growing! A waste of time, money, and garden space. Rated 4 out of 5 by Clanlars from Turned out great! Love these purple carrots! They taste great and are full of vitamins! 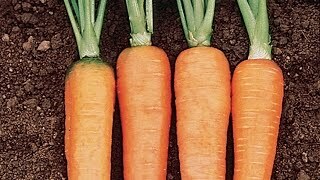 Rated 3 out of 5 by Cowgirl980 from Cool looking Carrot They grew ok for me, not like other carrots would. The only thing was mine made my fingers turn purple after I cleaned them. Rated 4 out of 5 by leojen from So.. I've grown these two years running. I tried these in window box planters/raised bed for year one, and in the planters year two. Both years these were successive sown in late march/early april and didn't get big enough to harvest until late august and well into fall. This year, I had let the smaller ones stay in the pots into the fall and winter, and still not much growth in the cooler weather. What was sown into the raised beds the first year definitely yielded a larger, more robust crop, so no more planters I suppose. Perhaps this year I'll sow them earlier in spring, and maybe try for a fall crop. I didn't get any carrots longer then 5 or so inches either year. What few were big enough to harvest tasted fine, almost "spicy", when cooked, were a little bitter raw, and the color wonderful. People who have never seen or heard of these are amazed when I show them a picture of a harvest. Rated 4 out of 5 by jyjtyugyt from Cool carrot but unpredictable results These are cool to grow but I have had variable results each year from very good and sweet... to tough and tasteless. Not as vigorous as more common types either. Not to discourage you but these are more of a challenge and seem to need more ideal conditions... but are worth the effort when you get the really nice yellow-oranged cored purple carrots. Give them a try. Rated 2 out of 5 by Adalaide from beautiful but disappointing These were amazingly easy to grow and required no maintenance at all. They're beautiful, and the reason we chose these was for something different. 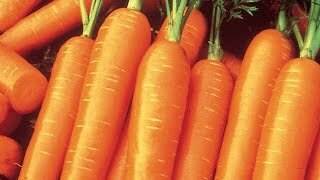 My husband only eats raw carrots, but these are not good raw, they have a weird, bitter taste when they're uncooked. That doesn't stop my rabbit from loving them. They also grew rather fat and stubby here which I saw was an issue for someone else in my general area. I'm not sure if it's the area or the carrots, but I was unimpressed with their length. Rated 3 out of 5 by WeezyG from Kind of bitter These carrots grew nicely in my garden but they have kind of a bitter after taste to them. When they're cooked the bitter taste goes away but not so good raw for some reason.